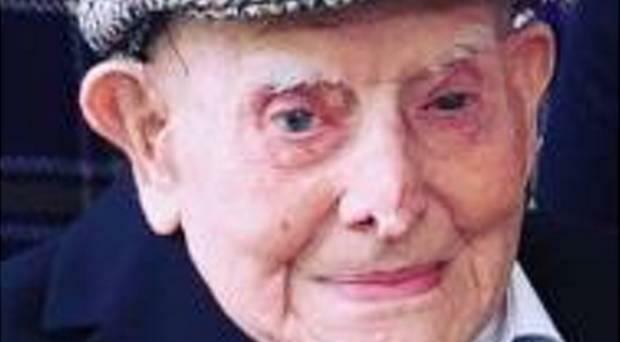 A well-known Tandragee man who had reached his 106th year will be laid to rest today. William (Billy) Duffy had been weeks from celebrating his 106th birthday when he passed away on Friday. His funeral mass will take place at 11am today in St James' Church, Tandragee, followed by interment in Ballinabrack Cemetery. Mr Duffy was born in Greenwich Village, New York, in 1913 to parents who were originally from Co Armagh. His family returned to Northern Ireland when he was a young boy, after his mother died in a tram accident. The former SDLP Mayor for Armagh, Sharon Haughey-Grimley, said that Mr Duffy would be sadly missed. "I had the pleasure of visiting him on his 100th birthday as Lord Mayor. He was a real character, one of Tandragee's finest," she wrote on social media. "Thinking of his family and all who knew him as he will be sadly missed. What a life well lived, just short of 106! Rest in Peace Billy." Mr Duffy was a dairy farmer, and was often seen walking his cattle through Tandragee town before he retired at the age of 80. He had met his late wife Dolores at a church disco. She passed away in December 2017, at the age of 84. The couple had eight children - Monica, Deirdre, Liam, Blathnaid, Oisin, Grainne, Meabh and Brid - as well as many grandchildren and great grandchildren. He is also remembered as the dearly loved brother of Margaret and the late Sadie, Malachy, Maureen and Maurice. Mr Duffy made headlines on his 100th birthday because he never received any birthday greetings from either the Queen, the Irish President or the United States. The problem stemmed from the fact that he was still a US citizen, but had not lived there for more than 90 years. Speaking to the Irish News in 2016, his daughter Grainne said that he replied "no comment" when asked his nationality. "The US authorities claimed that because he wasn't living in the US he wasn't entitled to their bounty and as he wasn't born here, he didn't get official recognition from the Queen or President Higgins," she said. "He used to consider himself American, but after being refused recognition on his birthday, he just felt he didn't belong anywhere. "He never went back to the US after he moved here and the furthest he travelled was going to Blackpool for the day."